Hope you are having a super duper day! 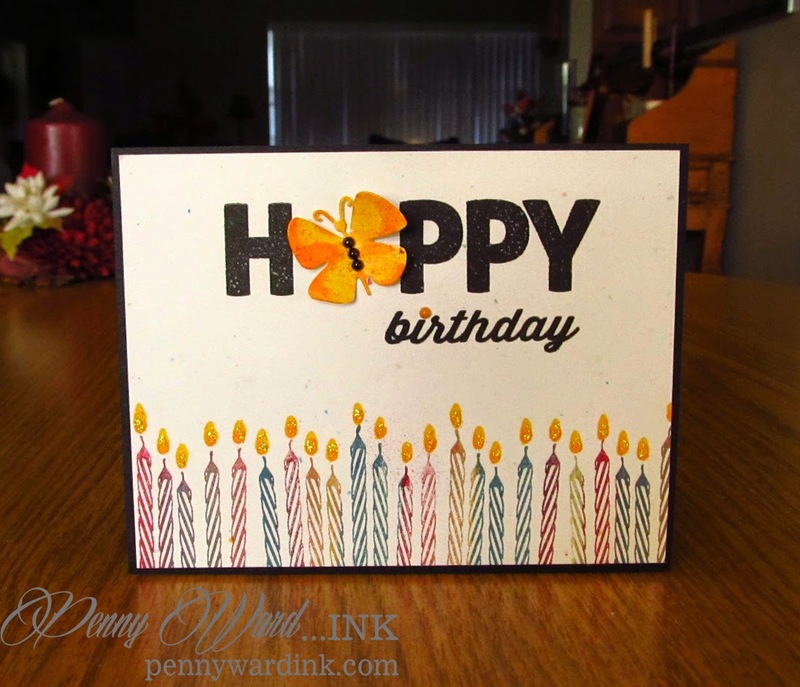 My good friend Judy was so sweet to send me the Bright Wishes stamp (Penny Black) after I had commented on her card. I could not believe it when it showed up in my mailbox. 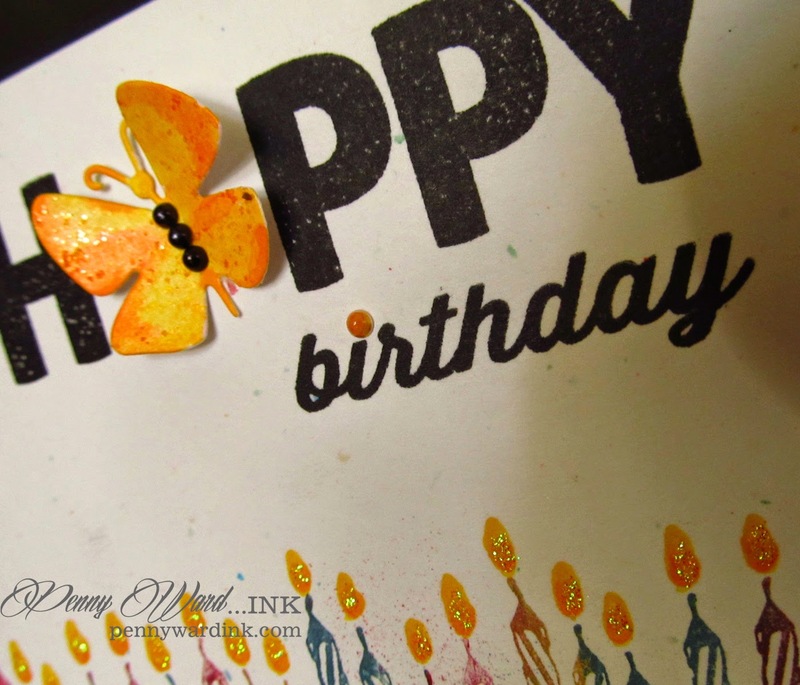 I just love the cardmaking finds I have made. So, I knew exactly which stamp to select when I saw this challenge. What a simply clever and brilliant idea to put that adorable butterfly with its' pretty pearls as the letter A in happy!! I am just adoring the candle lit border as well - such great colors and real looking flames!! That colored dot over the i - Wow, you nailed it, with this card!!! Super Cute Penny!!! Love the vibrancy!!! 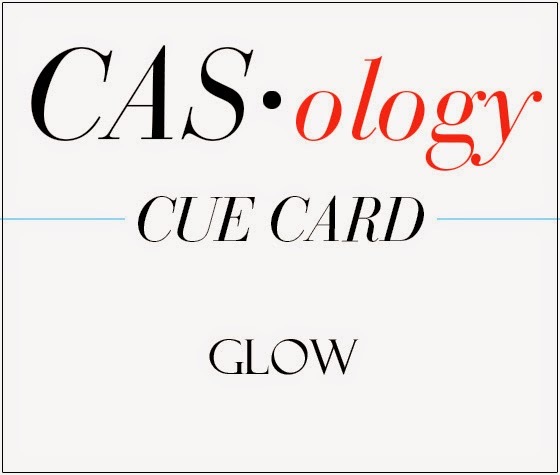 Thanks for sharing with us at CASology this week, I sure hope that you join us again !!!! I'm trying to catch up around Blogland with lots of stuff I've been missing. This card really stood out to me in the gallery at CASology's "glow" challenge, Penny, and I had to come for a closer look! I think it's brilliant! !